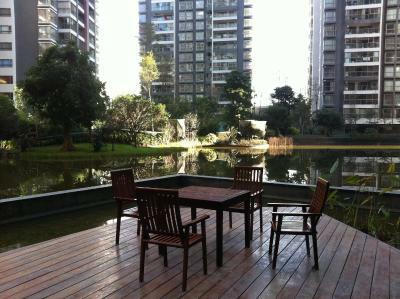 it is a studio apartment will all the modern amenities and restaurants/shopping nearby to purchase items to bring in. Wifi was good, big space, hot water, good location to visit nearby sites (easy to get bus/wave down taxis/hop on a mobike). Full kitchen facilities so can cook/boil water and use microwave. There's a lot of shops nearby. The owner seems to be quite helpful. 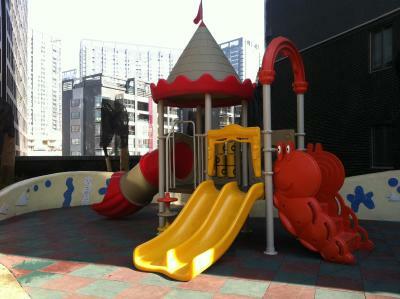 Location is really great, very close to bus station and Metro. 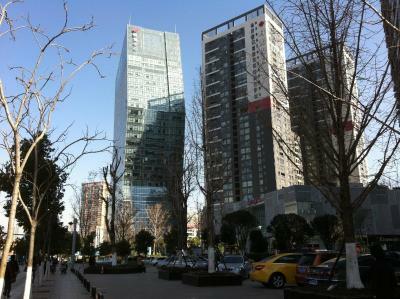 Shops and shopping malls are nearby. Хозяин передал ключи (приехала к 12 ночи), все объяснил, сориентировал по городу, предложил помочь при любой необходимости или трудностях с переводом. Сначала дали квартиру на 32 этаже без кухни и с гигантской кроватью, но через два дня там понадобился какой-то ремонт, поэтому переселили в другую на 24 этаже и с небольшой кухней. Комнаты просторные и светлые. Новый современный район. Недалеко большой чайный рынок. It was quite clear and had good location. 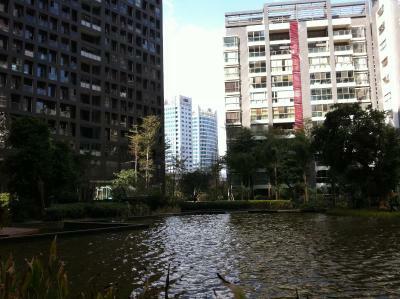 You can find big buildings, banks, ATM and shopping mall nearby there. The host was nice and he can speak English well! -아파트를 개조한 형식. 숙소가 전반적으로 깔끔하다. -위치가 좋다. 주변에 큰 상가들과 건물들이 있다. 바로 앞에 버스 정류장이 있다. ATM기와 은행도 가까운 곳에 있다. -호스트가 영어를 잘 한다. Kunming IC Holiday SOHO Junyuan Serviced Apartments is 1.2 mi from Nanping Walking Street and 2.5 mi from the Kunming Railway Station. 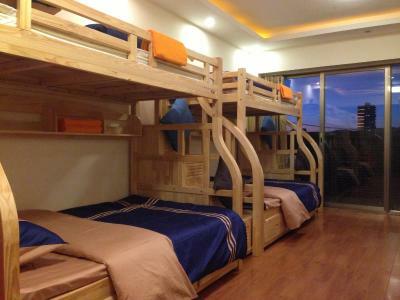 It offers spacious rooms with a fully equipped kitchen and free Wi-Fi access. Guest rooms are fitted with a work desk and a flat-screen TV with cable channels. The attached kitchen comes with a fridge, kitchenware and an electric kettle. The staff at the tour desk can assist with making travel arrangements. Laundry services are offered. Luggage storage is provided. 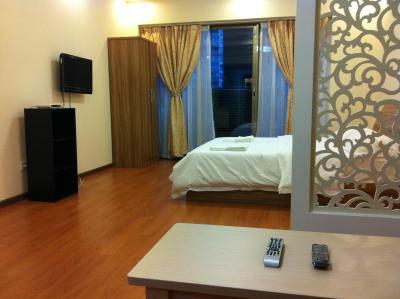 SOHO Junyuan Serviced Apartments Kunming IC Holiday is 16 mi from Kunming Changshui International Airport. 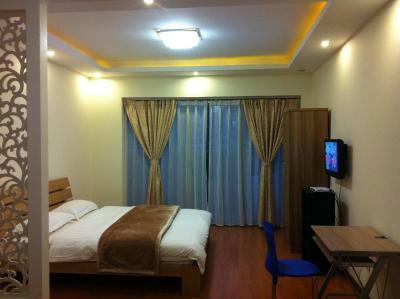 When would you like to stay at Kunming IC Holiday SOHO Junyuan Serviced Apartments? 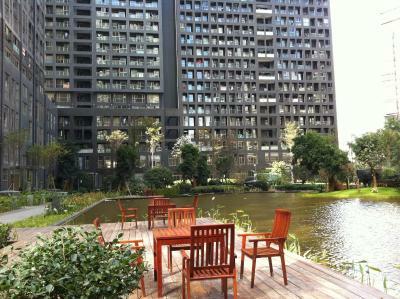 Public parking is available on site (reservation is not needed) and costs CNY 50 per day. House Rules Kunming IC Holiday SOHO Junyuan Serviced Apartments takes special requests – add in the next step! 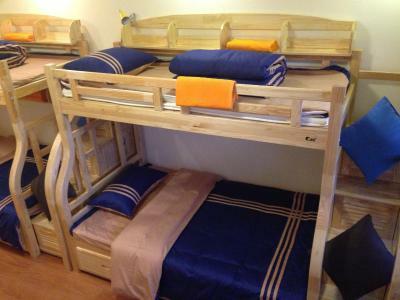 All children under 2 years are charged CNY 100 per person per night in a crib. 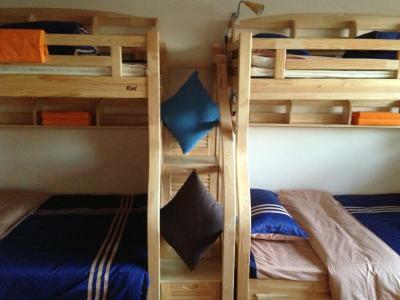 One older child or adult is charged CNY 100 per person per night in an extra bed. 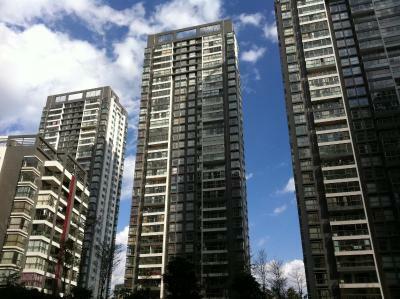 Kunming IC Holiday SOHO Junyuan Serviced Apartments accepts these cards and reserves the right to temporarily hold an amount prior to arrival. Payment within 72 hours via bank transfer is required. The property will contact you after you book to provide instructions. Please note that hotel only accept UnionPay for card payment upon arrival. 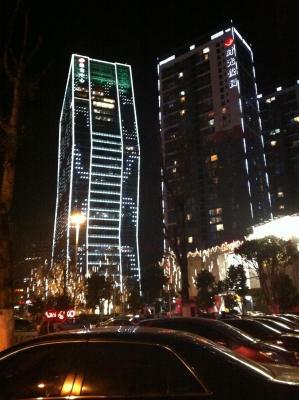 Please inform Kunming IC Holiday SOHO Junyuan Serviced Apartments of your expected arrival time in advance. You can use the Special Requests box when booking, or contact the property directly using the contact details in your confirmation. It's nothing like the pictures. There's no kitchen/ kettle or whatever they claimed other than a bed, sofa and one hot water dispenser. In a cold weather, there's no heater to keep you warm. My child cried to sleep at night bcoz of being too cold. The isle lighting is using a motion sensor & it will go off so quickly & kind of creepy. In conclusion, this is definitely not a place to stay during your vacation. Don't make the same mistakes as us. We moved to another hotel as early as possible the next morning & having to pay the penalty of another night. Eventhou we were lied terribly on the room condition, we still hv pay to end the misery. No way we're going to last another night in the rooms given. One more thing, there's no washing machine. Don't be fooled by photos. We arrived at the place to find that the apartment that we booked weeks ago was no longer available for us (thanks for the advance notice!) so we walked around for a while with the guy and eventually ended up at the same building in a random room that was nothing like what we had booked (though we still payed the same amount stupidly) the room didn't have a kitchenette/fridge and smelled like sewage crossed with cigarette smoke, not very pleasant. The room overall was very shabby with random exposed wires etc and a very run down feeling. The kettle didn't work, the key card didn't open the door downstairs so you had to wait for someone to be walking out. At 3 in the morning on the first night someone tried to get into the room and damaged the door handle so we weren't able to open it again to get back in, when we explained this to the receptionist guy he was trying to say that we would have to pay for its repair which we flat out refused to do. Overall this was the most unpleasant accomodation experience that we have had in the last 5+ months of travel and we don't say that lightly. If you are travelling to Kunming do yourself a favour and stay in a place a bit closer to green lake or around in somewhere that is an actual hotel or Hostel. The bed was not horrible. The apartment was a shared location, and did not have an office. 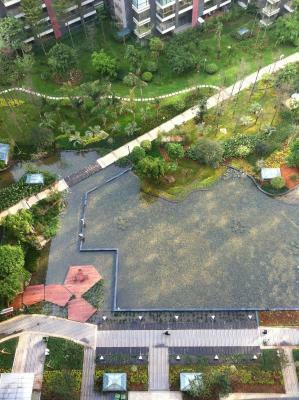 We received at least 2 attempts by other guests who had booked the same location and needs to be redirected. The location was checked once every 2 days, towels and bedsheets not changed. There is a bit bad smell from the toilet. The main door password is not working that it is not convenient to the guests to go inside the building, we all need to wait outside the building until other resident open the main door downstairs. I think these two points are needed to improve! The beds are to hard to get a good night sleep! We had a big family-dorm. Big size!